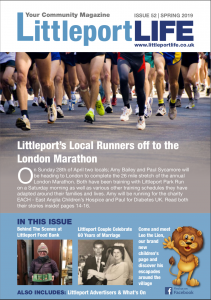 Littleport Springs to Life this Autumn! On Saturday September 26th Main Street was buzzing. The new Farmers Market was being held in the Heritage Centre, the usual shops were open for business, and a new continental pavement style cafe, ‘The Copper Cup’ opened its doors in the old butcher’s shop premises. The Littleport Lesiure Centre – Am I Too Old? Elaine’s Pet Grooming is Changing Hands!